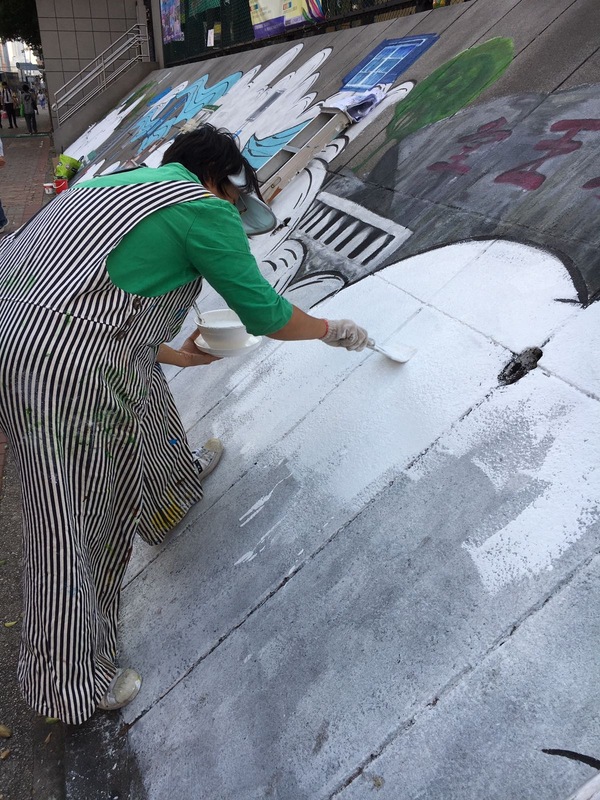 The art of mural has its own long history. 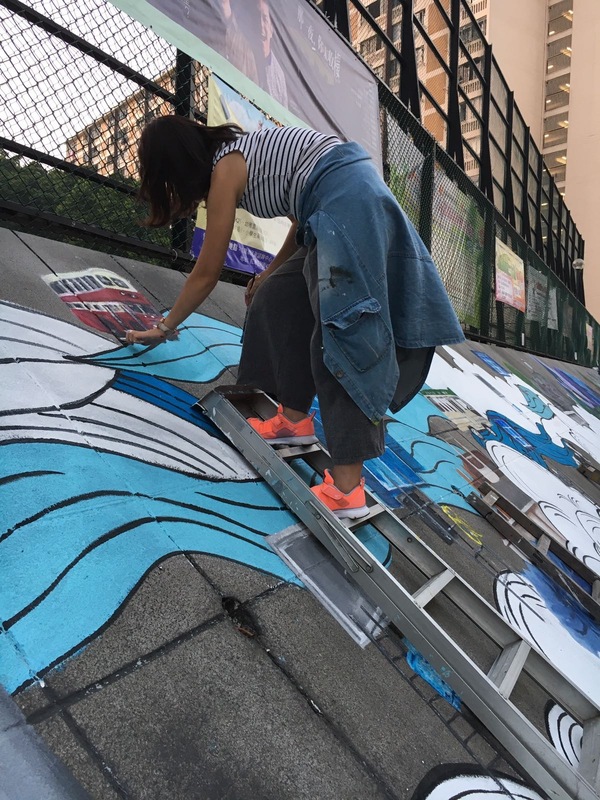 Hong Kong also has a significant number of mural artworks. Most of them are very colorful and visually attractive, but, unfortunately, quite weak in terms of their artistic concepts and site-specificity. 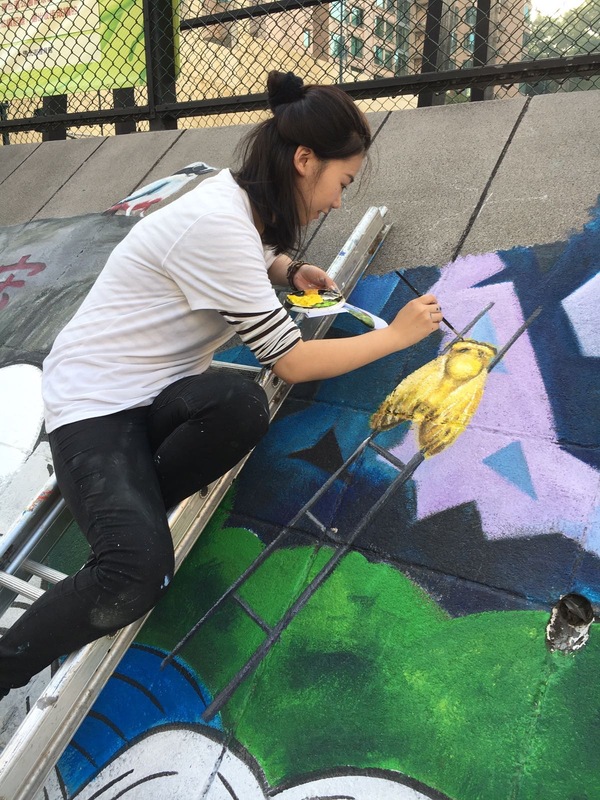 As such, Art Together would like to take the current opportunity to launch a more meaningful and artistic mural project for local communities. 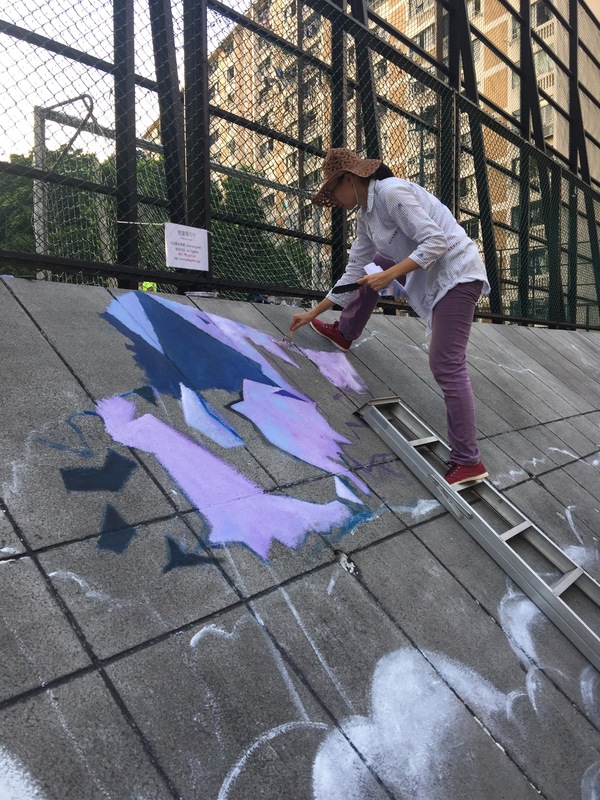 The current project, “Mobile Landscape,” is curated by Art Together, in collaboration with different contemporary artists to develop mural artworks in Kowloon City District. The first venue was Peace Avenue Playground. 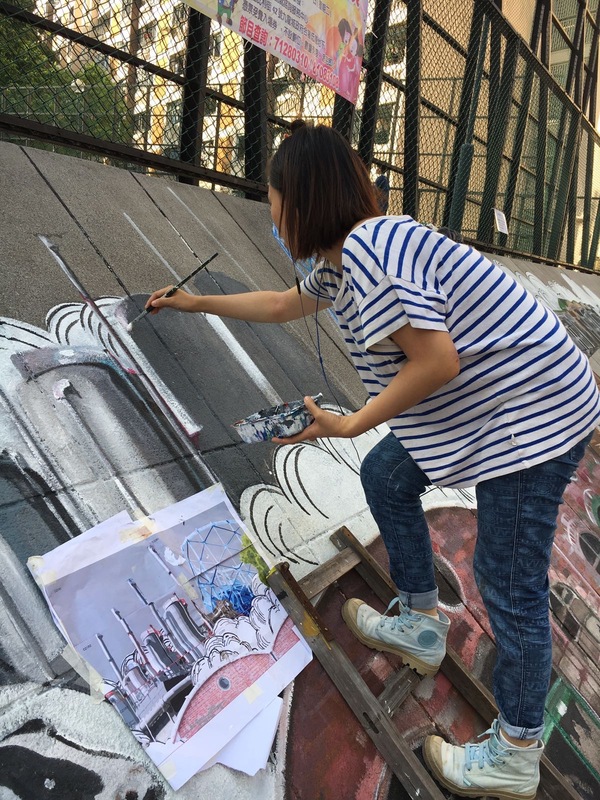 And Ma Tau Wai Road Playground is the second mural in the project, which depicts the most memorable sites and historical architectures in To Kwa Wan with a collage style, e.g. Cattle Depot Artist Village, Hoi Sum Lung Mo Temple, Kowloon City Pier, the Thirteen Streets and Red Apple Market etc. etc. 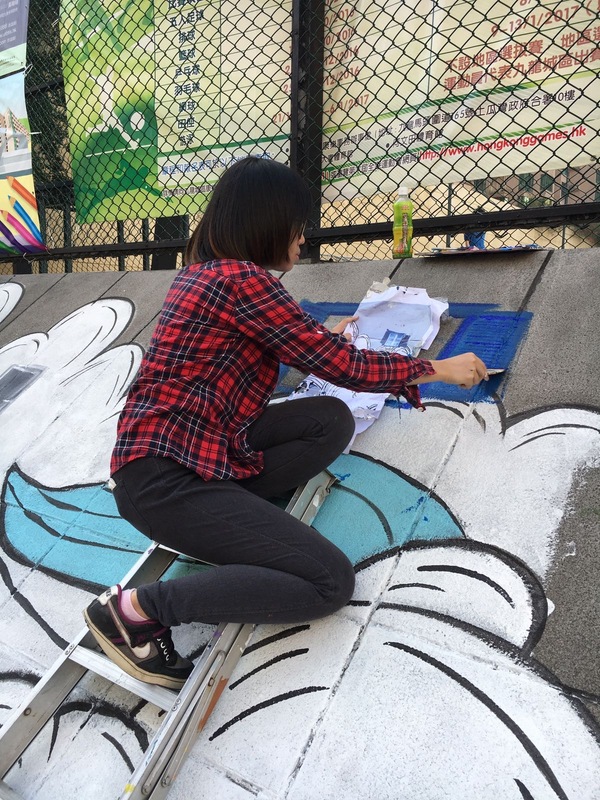 In order to celebrate the susessful completion of the mural project at Ma Tau Wai Road Playground, Art Together will host a "Hong Kong Artists 7-A-Side Friendly Football Match" on 27/11/2016 (Sun)! Featured teams: People's Football, Empire's Football Team and more upcoming artistic football teams !! !